The Settings App in Windows can stop working after an update, after installing new software programs or due to other reasons. 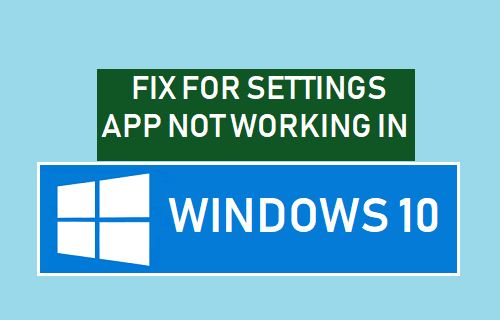 You will find below the methods to fix Settings App Not working in Windows 10. 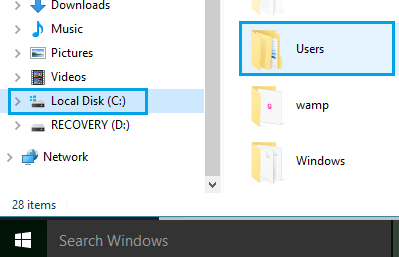 The problem of Settings App Not working in Windows 10 or Settings App not responding on a Windows computer can be fixed by using any of the following methods, as applicable in your case. Follow the steps below to run the SFC command to find and repair corrupted/damaged System Files on your computer. 1. Right-Click on Start button and select Command Prompt (Admin). 2. In the Command Prompt window, type sfc /scannow and hit the Enter Key to run a full system scan. It may take anywhere from 10 to 20 minutes for the full system scan to be completed. If no problems are detected by SFC Scan and you are still unable to open Settings, it is time to move to the next method. As you must be aware, the Settings App is a native Windows 10 app. Hence, reinstalling all the Windows Native Apps should fix the problem of Settings App Not working in Windows 10. 1. Right-click on the Start button and click on Command Prompt (admin) option. 2. In the Command Prompt Window type the following command and press the Enter key. This will Reinstall all the native windows Apps on your computer, including the Settings App. If the above solutions did not help, you can create a new User Account with Admin privileges and transfer all your files from old to new user Account. 1. 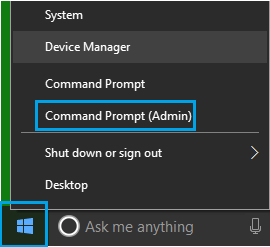 Open Command Prompt (Admin) on your computer, type the following command and press the enter key. 3. 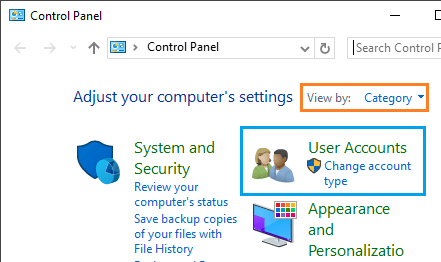 On the next screen, click on the New User Account that you just created and select the Administrator option. Now, you should find the Settings App is working and you can transfer all your files from Old to the New User Account. Transfer Files to New User Account. Transferring files from one User Account to another is not as hard as it appears to be. 1. Open File Explorer, click on the View tab and check the box for Hidden items. 2. Now, go to your Old User Account located at C:/Users/old Account Name. 3. Double-click on your Old User Account and you will see a prompt reading “you currently don’t have permission to access the account”. Click on Continue and enter your password to enter this account. 4. Now, copy all the Files that you want to transfer to your New User Account and copy them into the User Folder linked to the New User Account.